Better franchising. Enhance your position. Members of FANZ demonstrate, and benefit from, a commitment to best practice in franchising. All FANZ members are required to adhere to important franchising standards set out in the Association’s Rules, Code of Practice and Code of Ethics. FANZ members also join for a range of other reasons; perhaps foremost is the opportunity to learn and network with other leaders and members within the franchising community. FANZ membership is a sign of credibility. Only FANZ members can identify themselves with the FANZ member logo. This identifies you as a member committed to best practice in franchising and allows you to benefit from the Association’s ‘Look for this sign before you sign’ campaign. Members receive the logo for inclusion on their website, letterheads, business cards, brochures, disclosure documents, advertisements and other appropriate material. FANZ is the peak body for the franchise community in New Zealand. FANZ maintains relationships with Government and it’s agencies to share information and make representations, including any issues involved with new or existing legislation. FANZ Annual Conference is the Association’s marquee event, typically attracting large numbers of member attendees and speakers. 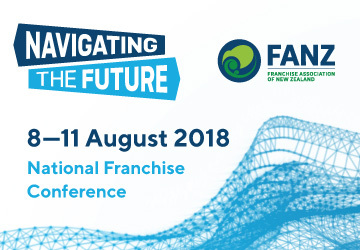 The FANZ Annual Conference is held over two days and is packed with franchising, business and leadership content and inspiration. In addition to the numerous keynote, workshop and round table learning opportunities, there are also many breaks, featured meals, and networking opportunities. An annual must-attend event for anyone with an interest in franchising. Only FANZ members are entitled to enter the prestigious Westpac New Zealand Franchise Awards held under the internationally recognised Malcolm Baldridge Business Excellence Criteria. Success in these Awards not only enhances your reputation, but also provides an excellent way to have your business independently reviewed. 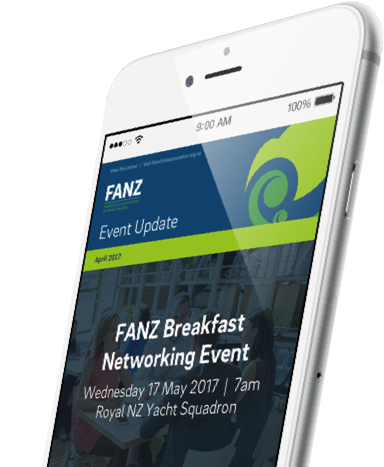 FANZ holds regular and well-attended breakfast and evening functions, featuring guest speakers and networking opportunities. People in franchising tend to be friendly and are very open about their experiences. Find out the next event near you. FANZ keeps members updated with regular newsletters on topical issues and events relating to franchising and Association business. FANZ provides a collective voice to the media to help ensure that franchising is properly promoted and its image is enhanced. 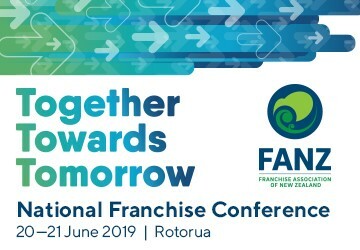 FANZ is also a member of the World Franchise Council and the Asia Pacific Franchise Confederation where it maintains a two-way flow of communication about issues around the world for the benefit of members. Membership entitles you to a Special Member Rate at the FANZ Annual Conference and other events around the country. Includes Master Franchisees who issue franchises for sale and Multi Brand Franchisors. Service providers e.g. lawyers, accountants, consultants, software providers, business brokers. For those who do not belong to any of the above categories.